George Conway, also known as the husband of White House senior adviser Kellyanne Conway, is a frequent critic of Donald Trump. That must make for interesting chit chat at the dinner table in the Conway home. 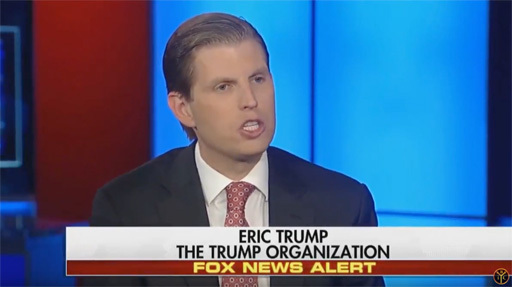 That said, Eric Trump, in another attempt to prove his less-than-stellar intellect, criticized George on Twitter calling out what he perceives as "disrespecting" Kellyanne's place of employment. Folks had a little something to say about that. Not only did Twitter users clap back at Eric, but Conway retweeted the shade.